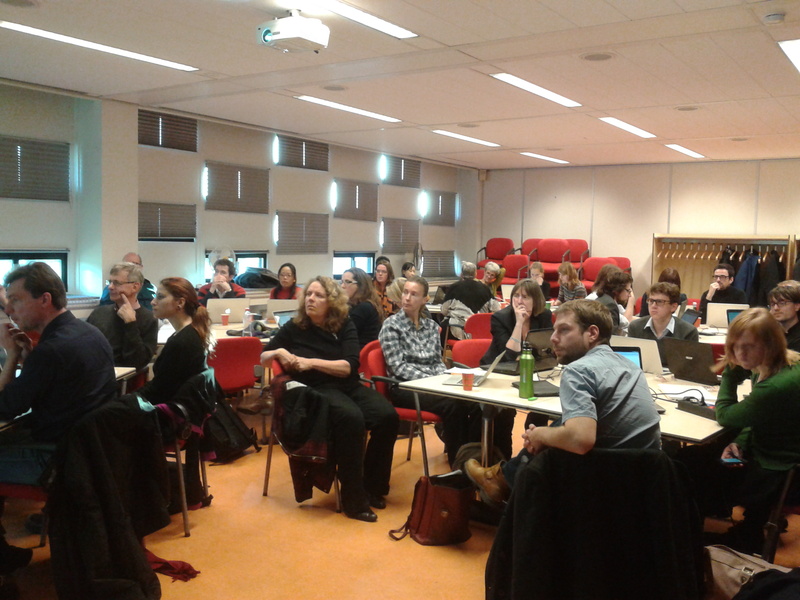 The program was intense: 3 plenary sessions, 12 break-out sessions and project presentations during the lunch break. That was a lot to talk about and a lot to listen to. I left Rotterdam with a number of take out messages and food for thought. What follows is a mix of my own opinions and things said by some of the many participants/speakers of the event. It’s a fact: Open Data has reached momentum and more and more data portals are being created. 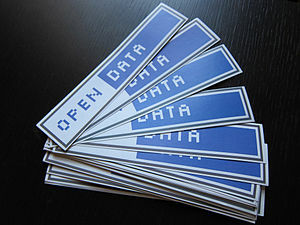 DataCatalogs currently lists 216 sources for Open Data. There could be something around a million of Open Data data sets now available, but how many applications? Maybe around 100k, at most. Furthermore, most on these applications do not really address “real problems” (e.g. help deciders to make educated choices by providing them with the right data at the right time, or optimise food distribution processes). Even if the definition of a “real problem” is open to discussion, there is surely something to think about. This low number of applications could be explained by a lack of problems to tackle as well as it can be explained by a lack of motivated developers. The ePSI platform has just started a survey on story sharing. Reading about the (positive) experience of others is likely to trigger some vocations in the readers and get more developers on board. The upcoming W3C event about using Open Data will also be a good place to share such stories and spot the things to do next to foster an ecosystem of data and developers. We have Open Data and we have Open Data consumers that happily take the data, process it and eventually re-publish it. Fine but we do poor when it comes to capture the added meta data from these users. If one of them spot an error in an open data set, or if missing data is identified, there is hardly any way to communicate this information to the data publisher. Most, if not all, data portals are “read only” and the eventual feedback they receive may not find a matching processing pipeline. Open source software solved this issue by using open bug trackers that allows for reporting bugs/feature requests and facilitate dispatching the issues to persons in charge of implementing them. Using such bug trackers to keep the data users in the loop sounds like a good plan. This is something we started to look at, in a slightly different way, for the projects CEDA_R and Data2Semantics. One of the use case of these projects is the Dutch historical census data (from 1795 onwards) that has to be harmonized and debugged (there was a lot of manual process involved to convert the paper reports in digital form). Only historians can take care of this, and they need to inform the data publisher about their finding – preferably using something even easier that the average bug tracker. Economical issues are common when speaking about Open Data. They could even be seen as the main obstacle to it. The other obstacles, technical, legal and societal/political being easier to address. So the trick is to convince data owners that, yes, they will loose the money they currently get in access fee but they will get more out of the Open Data, in an indirect way through businesses created. In fact, there is no market for the Open Data itself. Instead, this Open Data has to be seen as part of the global Data market of which DataPublica and OpenCorporates are two examples. In this market, curating and integrating data is a service clients can be charged for. Data companies transform the data into information and put a price tag on the process. For this matter, having to publish an integrated data set as Open Data because it include pieces of an other Open Data set licensed with a GPL-like license will brake the process. Open Data is easier to consume when license under more BSD-like licenses. Besides the definition given on OpenDefinition, and the 5-star scheme of Tim Berners Lee for Linked Data, there is not much out there to tell people what is Open Data and how to publish it. Data portals can be created from scratch or use CKAN and may expose the meta data about the data sets it contains in different ways (e.g. using DCAT or something else). The data itself can be published within a large spectrum of formats ranging from XLS sheets to PDFs to RDF. Besides this, data portals can be created at the scale of the city, a region, an entire country or an entity such as the EU. These different scales are related to each other and can be seen as a result from a lack of coordination. Directories are important as a way to know what data is out there, and also what data is missing. If everyone take initiatives at different scales, the outcome of this indexing process will be fuzzy and the outcome quite confusing for data users looking for open data sets. On the other hand, self-organisation is often the best solution to build and maintain complex systems (c.f. “Making Things Work” from Y. Bar-Yam). So maybe things are good as they are but we should still avoid ending up with too many data portals partially overlapping and incompatible with each other. As far as the data is concerned, PDF, XLS, CSV, TSV, … are all different ways to create data silos that just provide a single view over the data – even a non machine readable one in the case of many PDFs. RDF is here to improve consistency across data sets with a unique, graph based, data model. This data model facilitates sharing data across data sets. It is not the only solution to do that, the data set publishing language (DSPL) from Google being an other one, but it is the only one based on W3C standards. This guarantees the openness of the data format and a constant support, just as for the standards that make the Web (HTML, HTTP, CSS, …). During one of the break-out sessions, I was intrigued hearing one of the panel speaker saying he would like to see more DSPL around than RDF. After some (pacific) discussion, we agreed on the following points: RDF is more expressive than DSPL, DSPL comes with an easy to use suite of plug&play tools to play with the data. It seems that if you want to re-use Open Data to do some plots, eventually for some data journalism use-cases, you are better off using DSPL. It is simpler and through the data explorer allows anyone to build graphs in a few clicks. Users prefer having button and sliders to play with simpler data rather than knowing that they have in their hands the most powerful knowledge representation scheme and that they could do anything with it – but finally do nothing with it because of the induced high learning curve. I’m all in favour of Open Data and I try to motive people, and myself sometime, to use Linked Data to publish data sets. Still, I think we have a major issue there: our data model is better but we do not compete yet on the usability side of the story. Finally, and that was also the final message of the event, we should not rest on our laurels. Open data is well received. Many are going into the “Open unless” way of thinking but some others make an Open Data portal just because it is trendy, and trash it after some months. We need to continue explaining to data owners why they should open their data and explain why Linked Data is a good technical solution to implement. Then, we need to find more active users for the data because, in the end, if the data is used, nobody will even dare shutting down the portal serving it. Having these active users may be our only guarantee that data published as Open Data will remain as such for the years to come. The VU is making short videos of 1 minute to highlight some of the research that is being done within its walls. This is the video for SemanticXO, realised by Pepijn Borgwat and presented by Laurens Rietveld. Ik ben laurens rietveld en ik doe onderzoek aan de vrije universiteit naar semantische netwerken. Ik wil iets vertellen over onderzoek van Christophe Gueret dat zich richt op laptops die in ontwikkelingslanden gebruikt worden. Dit is de XO laptop, het is een goedkope stevige laptop die onderwijs bij kinderen moet bevorderen. Op de laptop draait sugar, dat is een constructieve leeromgeving speciaal ontworpen voor jonge leerlingen. Op dit moment blijven alle gegevens die gegenereerd worden in de leeromgeving, in de xo laptop. Als een gesloten kleine data doos. Met dit onderzoek willen we data uitwisseling verbeteren door gebruik te maken van principes van het semantic web. Op die manier kan de data, zoals berichten of tekeningen, gemakkelijk binnen kleine lokale netwerken worden verspreid. Zodra 1 laptop met het netwerk verbonden is kan die lokala data delen met de buitenwereld. Andersom kunnen gegevens van de rest van het internet, ook binnen het lokale netwerk worden gedeeld. My name is Laurens Rietveld and I do research on Semantic Networks at the Free University of Amsterdam. I will tell you about the research of Christophe Guéret which concerns laptops being used in developing countries. This is the laptop “XO”, it is a cheap and robust laptop used to support the education of kids. The laptop runs “Sugar”, a constructionist learning environment especially designed for young learners. Currently, all the data that is generated within the learning environment stays in the XO. Like if it was within a closed data silo. With this research we aim at improving data sharing capabilities by using Semantic Web technologies. In doing so, the data (for instance, messages or drawings) can be easily shared within a local network. As soon as one of these laptop gets access to Internet, it becomes possible to share this data with the outside world too. Vice versa, data from Internet can be downloaded and shared across the local network.